Looks like it was all a mirage. 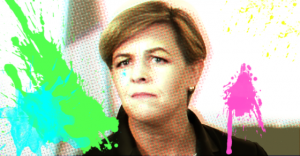 Although her talk of xenophobic purity tests for “Canadian values” dominated headlines for months with speculation Canada was witnessing the rise of the Canadian Donald Trump, Conservative MP Kellie Leitch leadership campaign turned out to be a big dud. In the end, Leitch finished a distant seventh on the first ballot. All in all, fewer than 10,000 people actually picked Leitch as their top choice in a leadership vote where 141,000 ballots were cast – in more than half of Canada’s 338 ridings, Leitch couldn’t find 25 people willing to support her. It might surprise some Canadians to learn how shallow her support was. 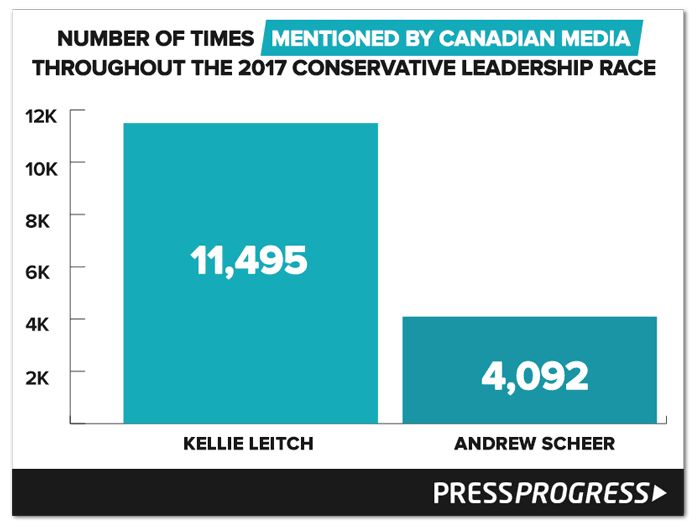 Even though she polled poorly throughout the leadership race, Leitch received nearly three times as much media coverage as the eventual winner. 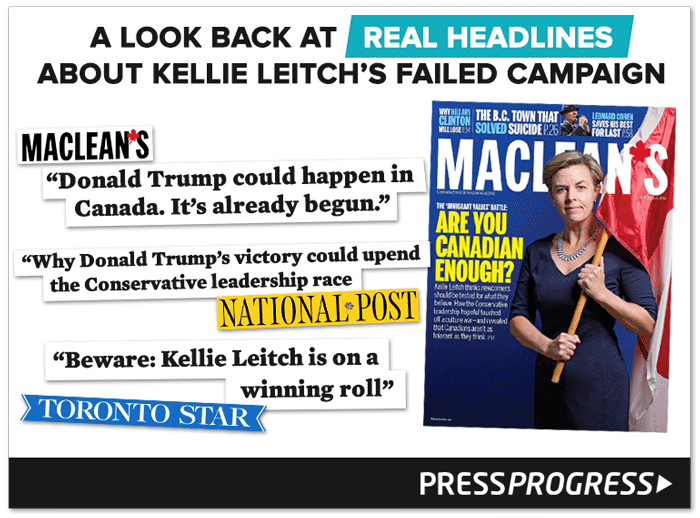 According to an analysis by PressProgress, Leitch was mentioned nearly 11,500 times by Canadian media outlets since launching her leadership bid in May 2016. 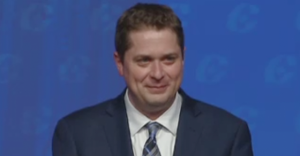 New Conservative leader Andrew Scheer was only mentioned around 4,000 times since he launched last September. And just take a look at the headlines. And a closer look at what the media was saying below the headlines might raise questions about whether Canada’s big media outlets know how to handle politicians who seek to target minorities for political gain? 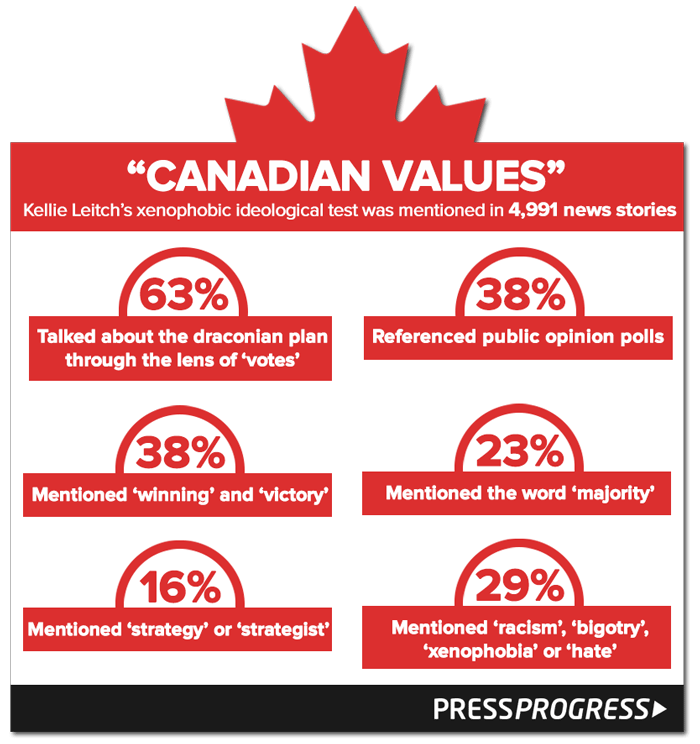 In total, Canadian media outlets mentioned Leitch’s draconian “Canadian values” test 4,991 times. That claim can be traced back to a poll seized on by Leitch’s campaign that they claim showed widespread support for her controversial immigration policy, except other numbers in the same poll showed widespread support for immigrants and diversity. In fact, the same poll even found a majority of Canadians are strongly opposed to Trump-style politics too. Someone else thought the exact same thing – Leitch’s disgraced former campaign manager, Nick Kouvalis. Looks like quite a few people got Leitch all wrong.